One important factor when looking to buy a carport is to first look at the various carport designs. 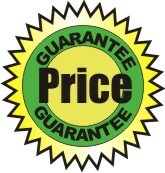 This is to a large extent relates to the roof type and shape of the carport. Selecting the right carport design can make a big difference in how it complements your house and adds value to it. 1. Look at the type and shape of roof on your house and try to best match your carport kit to suit. 2. Determine the height you need. Look at the vehicles you own or are thinking about for the future. What minimum clearance height might you need. Do you want to line up the fascia and gutter as best you can to the house. 3. Choose colours that mirror the colour scheme on your house. If you are renovating your house then choose the colours you will be changing to. The Dutch Gable carport kits are the choice decision in d-i-y carports. Made to enhance your house to the next level. These give you maximum street appeal and value to your home. Don’t be surprised if you get complements from your neighbours. We’ve seen it many times. The structure represent the ultimate in finish and quality, giving you shelter for your car, boat or caravan. Supplied in genuine colorbond steel with a heavy duty frame, they will also match most house roofs with a 20 degree standard roof pitch. A popular carport with a premium finish. This design matches many houses very well and enhance the design and roofline. A very attractive and complete carport that you will be proud of. The idea is to make the carport look as if it was part of the house from the start, and these do that. The designs are simple but clever, resulting in a strongly built structure. The hip roof has a standard roof pitch of 20 degrees in order to better match most house roofs. 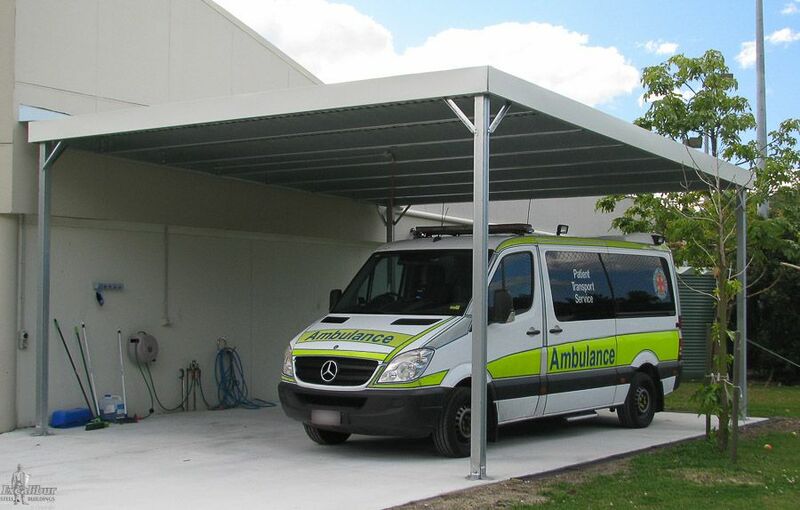 The carports come with chunky 100×100 SHS, a hi-tensile steel framework and genuine colorbond roof and trim. Gable carport kits are simple and stylish, but made to protect your vehicles and give added value and dimension to your home. Available in many sizes from single and double carport to large structures with spans of over 9 metres. Gable roof carport kits represent an excellent DIY build, with gable infills as standard for that extra level of finish. There is also an option of removing them (open gable ends) for increased height in the middle, in the case of a caravan or boat etc. Sometimes called a flat roof carport, even though there is a slight pitch or slope on the roof. 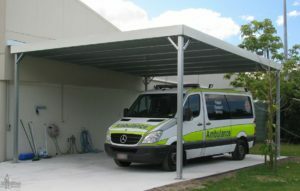 Made and designed to protect your vehicles on a smaller budget, compared to other carport designs. These are a no nonsense carport built for a purpose, but are also finished to a high standard. 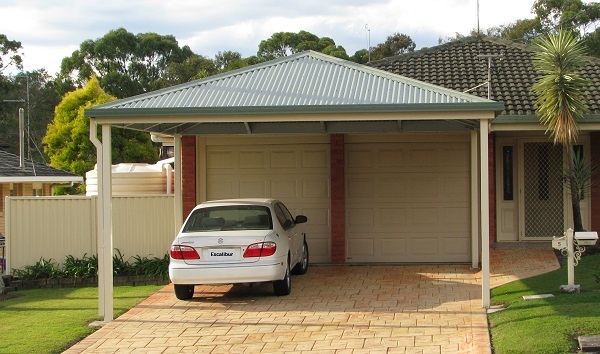 Skillion carport kits have got to be one of the best diy projects you can do for your home. Incredibly simple in design, a factor that makes them easy to build. Scalable in size to 9m wide as standard, with height up to 5m and more, to comfortably accommodate caravans, motorhomes, boats or whatever you have. There are a few factors involved in a good design for carport kits:Simple Construction - A well designed carport kit should go together reasonably easy. Pre-cut and punched frames will help with this.Engineered - It should also comply with the building codes and wind conditions in your area. 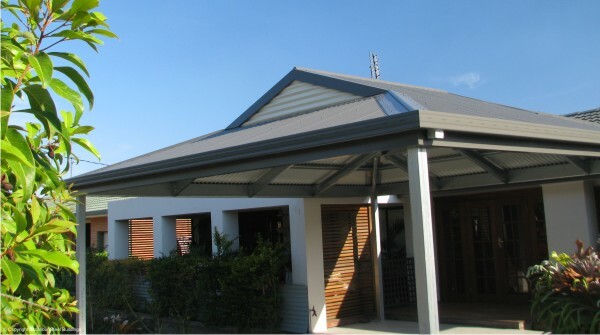 We include engineering with all our carport kits, for your peace of mind.Choice of Colours - To enhance the value for your home, you should also have a full choice of colours to best match your house.Complete With Everything - To make it easier, carport kits should come with every part needed to build it. This means right down to the downpipe and nuts, bolt and screws. Excalibur carports will provide every part needed for your carport.Quality Steel - Using quality steel means a stronger carport and a better finish. 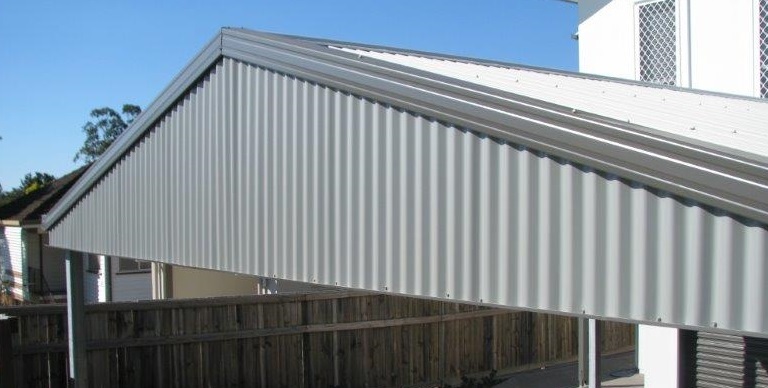 We only use Australian made steel from Bluescope Lysaght, the largest steel supplier in the country.Which type of carport do you need? If you have any question on the different carport designs, please call us on 1300 011 191 or send us an email to sales@excaliburcarports.com.auWe look forward to helping you with your carport project.